The wait is finally over ! If you haven’t got the OTA update notification on your Nexus One yet, you no longer have to worry. 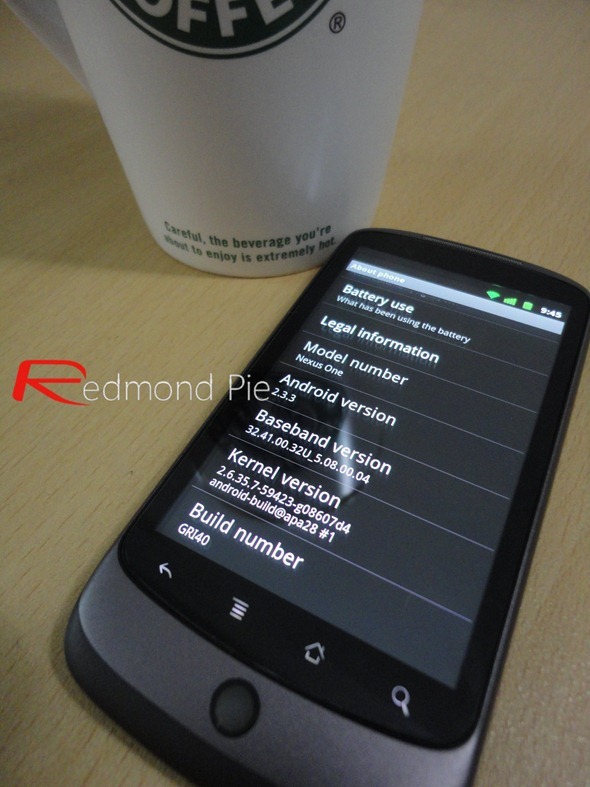 The official Android 2.3.3 Gingerbread for Nexus One is now available for download. You can install it manually by following the instructions posted below. Step 1: Download the official Android 2.3.3 update for Nexus One from here. Step 2: Rename this file to update.zip, and copy it over to the root of your SD card. Step 3: Now power off your phone, hold down the “trackball” button, followed by the “Power” button to turn it back on. Step 4: Now use the volume rocker buttons to navigate to BOOTLOADER->RECOVERY option and then select it using “Power” button. Step 5: Now when you see an exclamation mark –like image on the screen, hold down the “Power” button followed by “Volume Up” button. Step 6: At this stage you should be presented with Android’s Recovery menu. Now select “Apply sdcard:update.zip” option to apply the update from SD card. Step 7: That’s it. Wait for the phone to complete the update process. Once its done, select “reboot system now” option to reboot your Nexus One into Android 2.3.3 Gingerbread.